Do you remember the skin you had when you were 21? I do. I also remember not having the foresight to take as good a care of it as I should have back then. Needless to say, I’m in my 30s now and the last decade must have been a good one, because I’ve started to notice the beginnings of fine lines and wrinkles around my eyes and mouth (laugh lines, I believe, is the colloquial term). Unfortunately, technology has not advanced to the point where we can travel back in time and give ourselves a good talking to about moisturiser, sunscreen and hydration. There are, however, treatments and procedures that could make you look and feel 10 years younger, including laser treatments. Popularity in laser skin treatments has been rapidly on the rise in the past few years. Celebrities and influencers have taken to social media to talk about the success they’ve had with various procedures. But where do you start? How does it work? And which treatment would be right for you? If you’re lucky enough to get selected for a show like MOOIMAAK, met Clare Wiese-Wentzel you’ll have all of these questions asked and answered for you. If not, and you’re curious about what’s out there, here’s some info. Skin Renewal notes that there are various types of lasers, which are scripted for patients based on skin needs, budget and downtime available for the healing process. 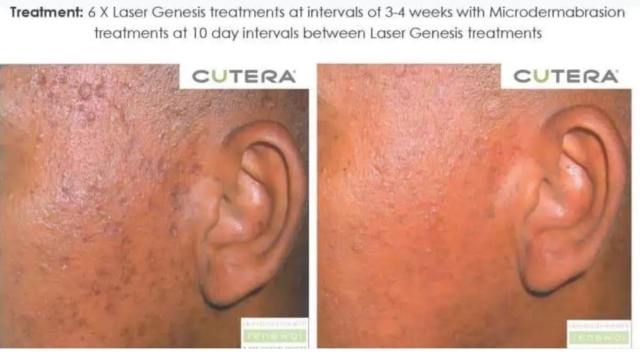 Laser Genesis™ skin therapy is an innovative, technologically advanced way to promote vibrant and healthy looking skin in men and women of all skin types. The Laser Genesis™ procedure has been scientifically proven to produce new collagen and is most commonly used in conjunction with other skin rejuvenating therapies. The Laser Genesis™ procedure utilises non-invasive laser technology to safely, discretely and effectively improve those conditions that are typically associated with the premature signs of ageing and sun damage, such as excessive redness, large pores, uneven texture, sallow complexion, acne scars and wrinkles. It also involves zero pain and downtime, with a soothing effect on the skin and visible signs of rejuvenation after each treatment. 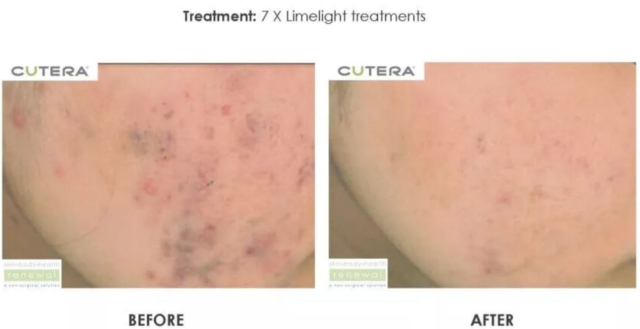 The Limelight™ Facial is a new, non-invasive approach to skin rejuvenation which can be customised for different skin tones and ageing skin conditions. The result is an exceptionally effective skin rejuvenation treatment with minimal discomfort. The treatment can be customised to your skin type to selectively treat the red or brown spots on your skin. At Skin Renewal, Limelight™ is commonly performed as part of a 3D Skin Rejuvenation™ treatment. This combination is one of the most widely used and most effective methods of achieving a significant aesthetic improvement within two to three weeks, when the effects of Limelight™ rejuvenation become evident. The Fraxel ® DUAL laser provides moderate-level treatment for pigmentation, skin tone, lines, acne scarring and poor skin texture. Over time, our skin becomes damaged by unavoidable exposure to the sun, air pollution, stress, fatigue and smoking, among other life and age-related challenges. In only 30 to 60 minutes, Fraxel® laser treatments repair and restore your skin, without surgery, and the downtime after this procedure is only two to three days. Fraxel® produces thousands of tiny deep columns or channels to your skin, which then allow an experienced doctor or senior therapist to treat the areas of concern, one at a time, without damaging surrounding healthy tissue. It can also be adjusted to be more superficial depending on what you, as a patient, require or the results that you are hoping to achieve. Everybody’s skin is different, and while procedures like those listed above might work wonders for some, skins requiring more intensive treatment for severe sun damage, severe wrinkling, collagen stimulation, scar repair and new tissue regeneration might need laser used for more invasive procedures. These procedures are usually done during winter months, as there is downtime of between seven to 10 days. You’ll also want to avoid any form of sunlight on the post-treated skin, to prevent the formation of post inflammatory hyperpigmentation. 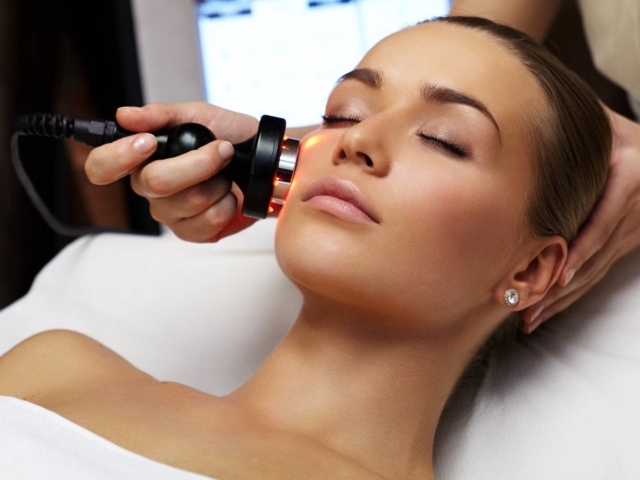 The CO2 (Carbon Dioxide) laser is used for skin resurfacing. This treatment removes the outer layers of damaged skin, and is used in treating deeper facial lines, wrinkles, scarring and sun damage. The results are softer, smoother and younger-looking skin. The procedure can also lessen the appearance of scars and other skin imperfections. Not only does the CO2 laser improve wrinkles and lines, but also assists in the treatment of uneven pigmentation, photodamage and precancerous spots. Pearl Fusion is a combination of the Pearl Resurfacing and Pearl Fractional technologies. Pearl Resurfacing provides full epidermal renewal, improving pigment texture, pore size and fine lines. Pearl Fractional provides fractional ablative treatments for deep wrinkles, acne scars and sun damage. Results include plumping and firming the skin to create a more youthful look. Together, these treatments offer a unique solution for deep and full coverage. There you have it. Beautiful, younger looking skin is just a few treatments away. You can visit the Skin Renewal website for more info. If you’d like to see some of these treatments in action, you can tune into MOOIMAAK on KykNET every Thursday at 8PM to see the Renewal Institute professionals working their magic.